Please join us in transcribing a 17th century Haggadah for the Passover Seder translated into Latin by Johann Stephan Rittangel (a/k/a Rittangelius). Transcription will be taking place at Latin Wikisource (Vicifons). If you are not already a registered Wikisource volunteer contributor, please register first. Johann Stephan Rittangel (1606-1652) was a Christian Hebraist and Professor of Oriental Languages at the University of Königsberg (Prussia) from 1640 till his death. 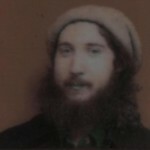 Born Jewish, he converted to Christianity (to Catholicism and afterward to Calvinism, and then Lutheranism). After making a translation of the Sefer Yetsirah into Latin in 1642, he made this translation of the Passover Haggadah. In the Haggadah, Rittangel included musical scores for two piyyutim popularly sung during the final course of the Passover seder: “Adir Hu” and “Ki Lo Na’eh.” See below for a video of these tunes being sung! In the year of his death, he published one of the earliest translations of Jewish liturgy (also into Latin): Hochfeyerliche Sollennitaeten, Gebethe und Collecten Anstatt der Opfer, Nebst Andern Ceremonien so von der Jüdischen Kirchen am Ersten Neuen-Jahrs-Tag Gebetet und Abgehandelt Werden Müssen (Königsberg, 1652). We have not yet seen this work and would like to help have it transcribed. If you know a collection in which it is held (or a digital, print, or microfilm copy), please let us know in the comments. 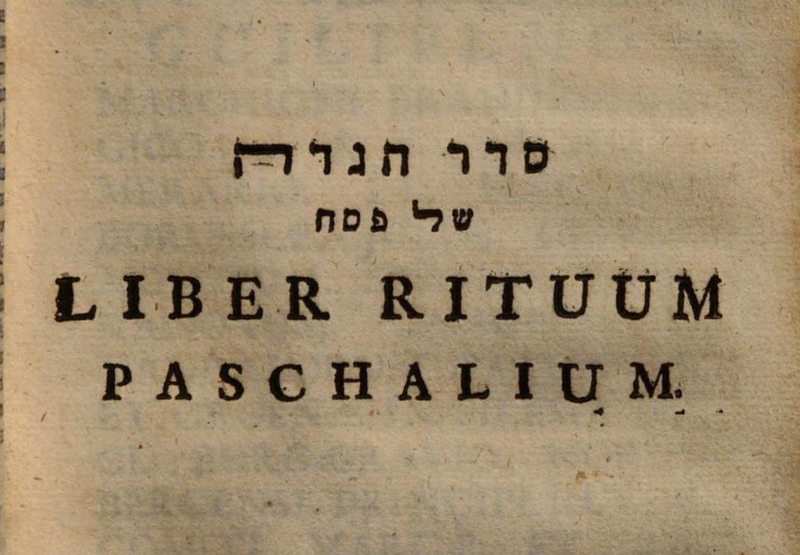 “הגדה לסדר פסח | Liber Rituum Paschalium, a haggadah in Latin translation by Johann Stephan Rittangel (1644)” is shared by Aharon N. Varady (transcription) with a Creative Commons Attribution-ShareAlike 4.0 International copyleft license. Please reciprocate for any adaptation or redistribution of this work by (1) properly attributing the work to Aharon N. Varady (transcription) and Johann Stephan Rittangel, (2) clearly indicating the date you accessed the resource and whether any changes have been made (and if so, please be in touch with us and leave a comment below so that we might note your adaptation or improvement), (3) providing a link back to this source, and (4) specifying the Creative Commons Attribution-ShareAlike (CC BY-SA) 4.0 International copyleft license under which this work was shared. 2018-03-29 – 14 Nisan 5778 at 12:09 pm · Reply. He did not, unfortunately, give us ‘several musical scores’ for the piyutim of the Hagadah. Only Adir Hu and Ki Lo Na’eh. And both tunes have been traced to older German hymns.